​A rising force on the jazz scene and an award-winning Origin Records recording artist, pianist and composer Danny Green has distinguished himself with his beautifully articulated touch and melodically charged sensibility. His Original compositions – a vivid blend of jazz, classical, and Brazilian elements – delights critics and audiences across the country and around the world. Celebrating a new CD RELEASE! A Southern California native, Green began studying classical piano at the age of five. Toward the end of high school, he fell in love with Afro Cuban music, which led to his discovery of Brazilian music and eventually jazz. 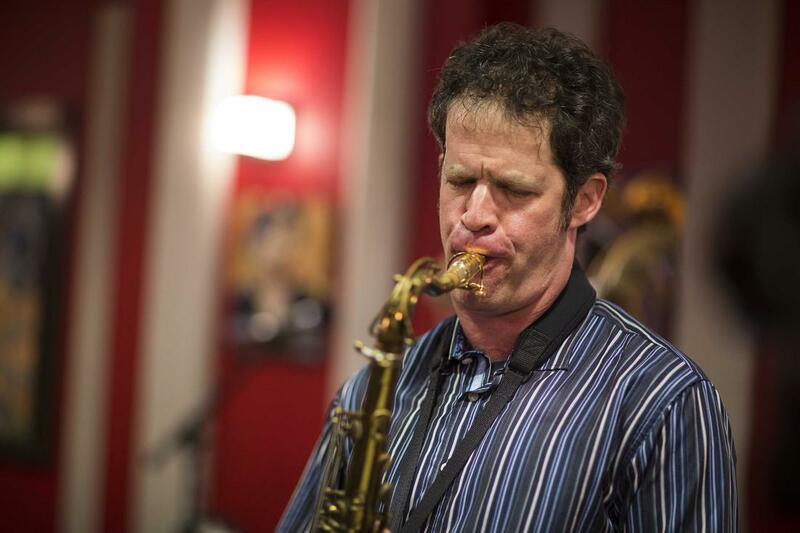 ​The Danny Green Trio features the talents of upright and electric bassist Justin Grinnell and drummer Julien Cantelm. Since its formation in 2010, the trio has performed at notable venues, series, and festivals across the county, including the San Jose Jazz Summer Fest, Shapeshifter Lab (NYC), The Blue Whale (LA), Vibrato Jazz Grill (LA), The Lilypad (Cambridge), The Loft @ UCSD, KSDS KSDS Jazz 88.3’s Jazz Live, the Athenaeum Music and Arts Library (San Diego), CSU Summer Arts Monterey (residency), the Integrity Jazz festival in North Dakota, TEDxUCSD, The Sound Room (Oakland), Tula’s Jazz Club (Seattle), Jazz Live at Marine View Church (Tacoma), and the KSDS Jazz 88.3 Ocean Beach Jazz Festival. The trio was chosen to be a resident artist in the San Diego Museum of Art’s 2013 Summer Residency Project. ​Green revealed his unique talents on his 2009 debut recording With You In Mind, which won “Best Jazz Album” at the 2009 San Diego Music Awards. In 2012, Green teamed up with Tapestry Records to release A Thousand Ways Home, featuring Justin Grinnell on bass, Julien Cantelm on drums, and Tripp Sprague on sax, as well as a talented cast of guest artists inducing guitarists Chico Pinheiro, Peter Sprague, and Dusty Brough, Brazilian vocalist Claudia Villela, and mandolinist Eva Scow. That album was voted into KSDS Jazz 88.3’s “Top Ten Jazz Releases of 2012,” and was nominated “Best Jazz Album” at the 2013 San Diego Music Awards. The trio recorded their 2016 release, Altered Narratives, at New York City’s famed Sear Sound recording studio with award-winning producer Matt Pierson. Released on OA2 Records, the album consists of eleven original compositions by Green. The three tunes at the center of the album feature the trio with a string quartet led by violinist Antoine Silverman, a widely admired New York classical and studio player. All About Jazz critic Dan McClenaghan commented, “There’s nothing that adds a touch of elegance to a jazz set more than an adeptly-done string arrangement, and these are superb; violins, viola and cello in a sinuous, sometimes whispering embrace with a vibrant, top-notch piano trio, delving into Danny Green’s distinguished compositions.” The album remained on the Jazz Week Top 50 chart for fourteen weeks and earned high praise from critics worldwide. Since the release of Altered Narratives, Green has continued composing music for trio plus strings and performing it. The Danny Green Trio Plus Strings’s debut performance at New York City’s Shapeshifter Lab featured members of the New York based chamber ensemble, Hotel Elefant, along with special guest Chico Pinheiro on guitar. Other performances include a live radio broadcast on KSDS Jazz 88.3’s Jazz Live, featuring members of the San Diego Symphony, TEDxSan Diego, the Museum of Making Music, and the Western Arts Alliance Juried Showcase in Seattle. NBC San Diego reviewed their Jazz Live performance noting, “Green’s acuity for string writing and the seamless integration of the quartet and the improvising trio were nothing short of sterling.” The Danny Green Trio Plus Strings is currently in production on a new album, slated for release on Origin Records in April 2018. Green is also highly devoted to music education. In addition to teaching private lessons, he is a faculty member of the annual Jazz 88.3 Summer Jazz Workshop, teaches piano at Grossmont Community College, and presents a jazz appreciation workshop at elementary schools as part of the Athenaeum Music and Arts Library’s outreach program. Green directed the jazz ensemble at Coronado School of the Arts from 2014-2017, and was an artist in residence at Canyon Crest Academy and at CSU Summer Arts Monterey.